"The colors draw you in so wonderfully. 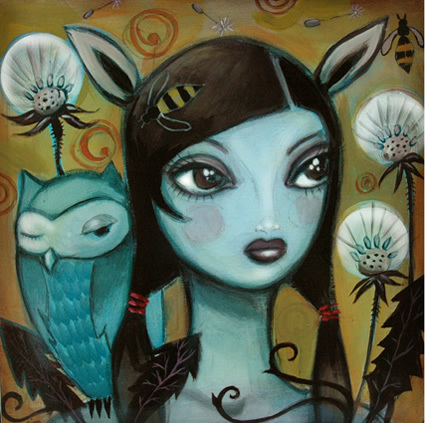 The girl and the owl are just B E A utiful!!!" "Very interesting and well done. love both pictures."